Can you answer a question for me? Why do people need or even want to make a retreat? I’ve never understood that, given the wonderful options I have right here at home through my parish, and, of course, the vast array of media opportunities we have now. I can think of TEN great reasons to make a retreat! A retreat is the perfect place to grow in union with Our Lord through the sacraments, Eucharist, silence, simplicity, solitude all in one weekend! It is a great time to reflect on what the Lord is doing in your life and where He is leading you next in the great dance with Him, especially as we round out the Year of Mercy. Receive His Mercy, Healing, and Love in one concentrated weekend. Silence – get away from the world and the negative messages it bombards us with. Come to the oasis of the retreat house! Relax and recuperate for your work for God. Enjoy and soak in the spiritual talks and readings that fill us and send us out, as we must do it regularly to keep ourselves growing and intellectually stimulated. Witness and experience the joy and tender care of the Carmelite sisters and the novices as they serve you and surround you in prayer. Be in the heart of Southern California, surrounded by beautiful gardens with mountains in the distance, witnessing to God’s love for us in all the world. Stock up on great Catholic materials and gifts in our beautiful and diverse gift shop. Rest in the arms of the Father AND in the beautiful, simple rooms that keep your eyes fixed on Christ. Be reassured and lifted up around others who are on the same journey as you. I hope this helps, and we look forward to seeing you here soon on retreat and resting in His Sacred Heart! 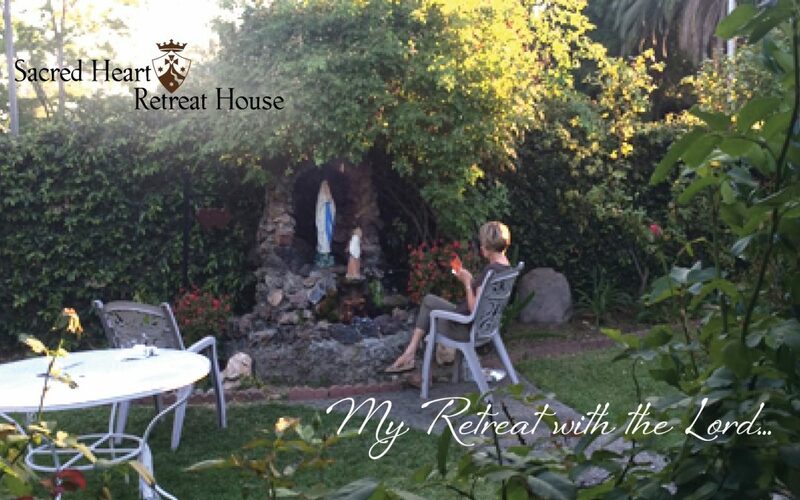 Click HERE for a list of the many retreats offered here at Sacred Heart Retreat House. We hope you will join us soon!